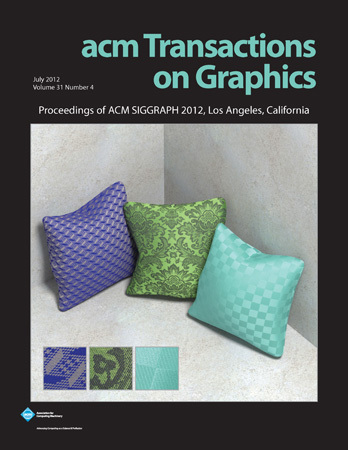 Abstract: Rendering fabrics using micro-appearance models—fiber-level microgeometry coupled with a fiber scattering model can take hours per frame. 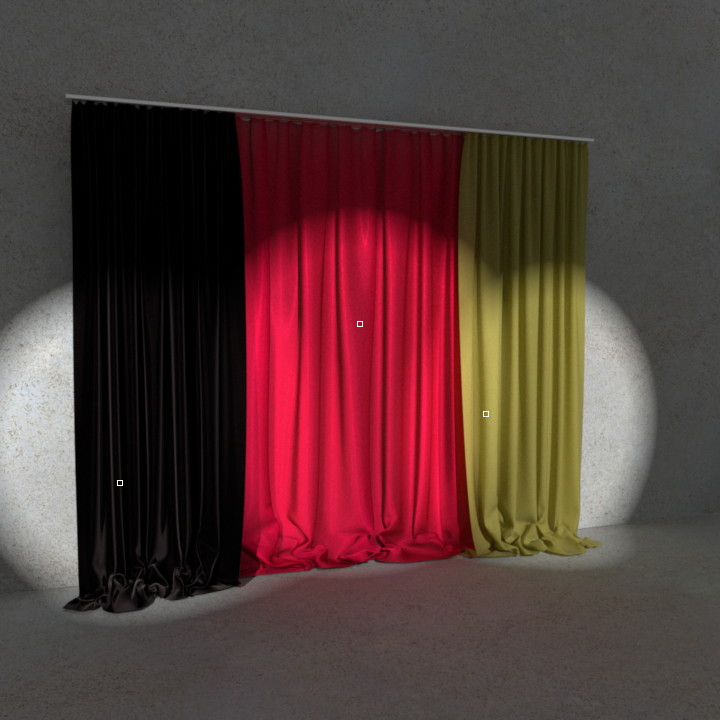 We present a fast, precomputation-based algorithm for rendering both single and multiple scattering in fabrics with repeating structure illuminated by directional and spherical Gaussian lights. Precomputed light transport (PRT) is well established but challenging to apply directly to cloth. This paper shows how to decompose the problem and pick the right approximations to achieve very high accuracy, with significant performance gains over path tracing. We treat single and multiple scattering separately and approximate local multiple scattering using precomputed transfer functions represented in spherical harmonics. We handle shadowing between fibers with precomputed per-fiber-segment visibility functions, using two different representations to separately deal with low and high frequency spherical Gaussian lights. Our algorithm is designed for GPU performance and high visual quality. Compared to existing PRT methods, it is more accurate. In tens of seconds on a commodity GPU, it renders high-quality supersampled images that take path tracing tens of minutes on a compute cluster. 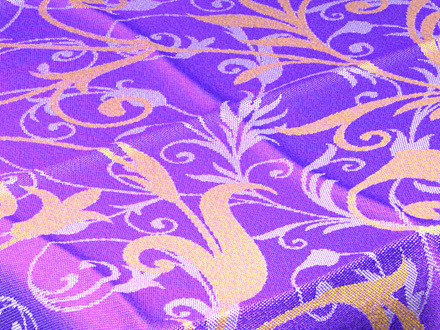 Abstract: Procedural textile models are compact, easy to edit, and can achieve state-of-the-art realism with fiber-level details. However, these complex models generally need to be fully instantiated (aka. realized) into 3D volumes or fiber meshes and stored in memory, We introduce a novel realization-minimizing technique that enables physically based rendering of procedural textiles, without the need of full model realizations. The key ingredients of our technique are new data structures and search algorithms that look up regular and flyaway fibers on the fly, efficiently and consistently. Our technique works with compact fiber-level procedural yarn models in their exact form with no approximation imposed. In practice, our method can render very large models that are practically unrenderable using existing methods, while using considerably less memory (60–200X less) and achieving good performance. Abstract: Fabrics play a significant role in many applications in design, prototyping, and entertainment. Recent fiber-based models capture the rich visual appearance of fabrics, but are too onerous to design and edit. Yarn-based procedural models are powerful and convenient, but too regular and not realistic enough in appearance. In this paper, we introduce an automatic fitting approach to create high-quality procedural yarn models of fabrics with fiber-level details. We fit CT data to procedural models to automatically recover a full range of parameters, and augment the models with a measurement-based model of flyaway fibers. 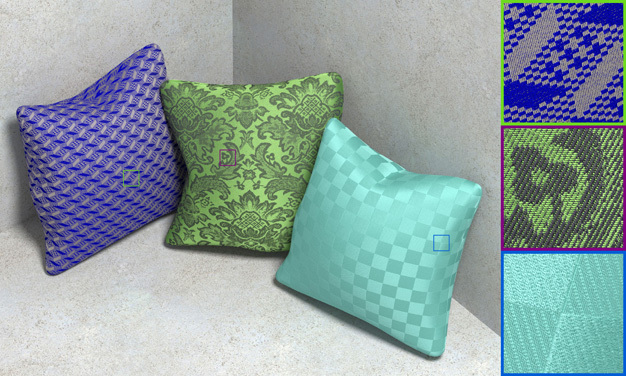 We validate our fabric models against CT measurements and photographs, and demonstrate the utility of this approach for fabric modeling and editing. Abstract: Micro-appearance models explicitly model the interaction of light with microgeometry at the fiber scale to produce realistic appearance. 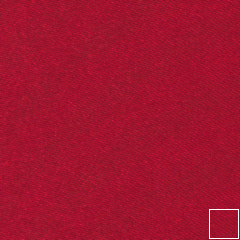 To effectively match them to real fabrics, we introduce a new appearance matching framework to determine their parameters. 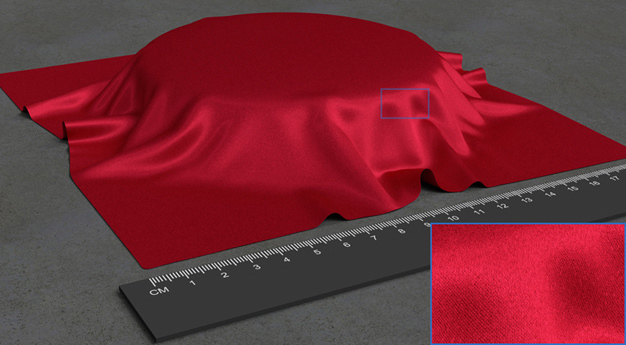 Given a micro-appearance model and photographs of the fabric under many different lighting conditions, we optimize for parameters that best match the photographs using a method based on calculating derivatives during rendering. This highly applicable framework, we believe, is a useful research tool because it simplifies development and testing of new models. Using the framework, we systematically compare several types of micro-appearance models. 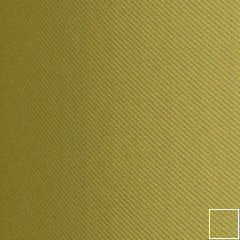 We acquired computed microtomography (micro CT) scans of several fabrics, photographed the fabrics under many viewing/illumination conditions, and matched several appearance models to this data. We compare a new fiber-based light scattering model to the previously used microflake model. We also compare representing cloth microgeometry using volumes derived directly from the micro CT data to using explicit fibers reconstructed from the volumes. From our comparisons we make the following conclusions: (1) given a fiber-based scattering model, volume- and fiber-based microgeometry representations are capable of very similar quality, and (2) using a fiber-specific scattering model is crucial to good results as it achieves considerably higher accuracy than prior work. Abstract: The highest fidelity images to date of complex materials like cloth use extremely high-resolution volumetric models. However, rendering such complex volumetric media is expensive, with brute-force path tracing often the only viable solution. 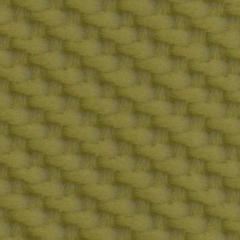 Fortunately, common volumetric materials (fabrics, finished wood, synthesized solid textures) are structured, with repeated patterns approximated by tiling a small number of exemplar blocks. In this paper, we introduce a precomputation-based rendering approach for such volumetric media with repeated structures based on a modular transfer formulation. We model each exemplar block as a voxel grid and precompute voxel-to-voxel, patch-to-patch, and patch-to-voxel flux transfer matrices. 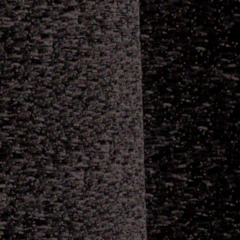 At render time, when blocks are tiled to produce a high-resolution volume, we accurately compute low-order scattering, with modular flux transfer used to approximate higher-order scattering. We achieve speedups of up to 12X over path tracing on extremely complex volumes, with minimal loss of quality. 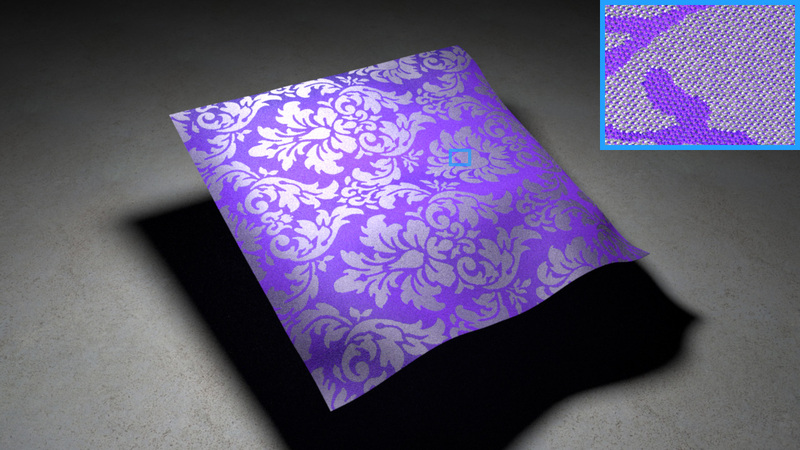 In addition, we demonstrate that our approach outperforms photon mapping on these materials. 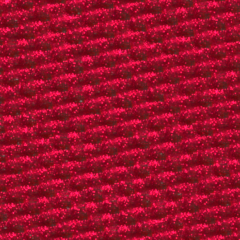 Abstract: Woven fabrics have a wide range of appearance determined by their small-scale 3D structure. 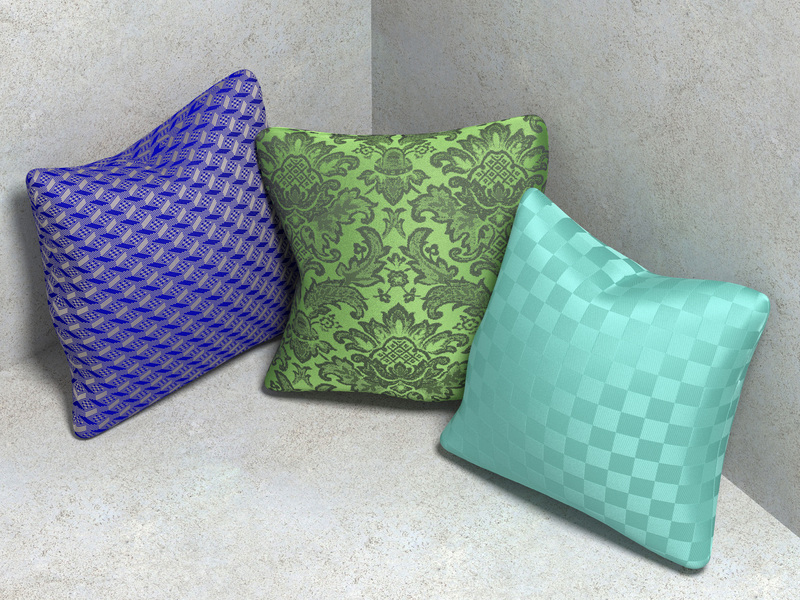 Accurately modeling this structural detail can produce highly realistic renderings of fabrics and is critical for predictive rendering of fabric appearance. But building these yarn-level volumetric models is challenging. 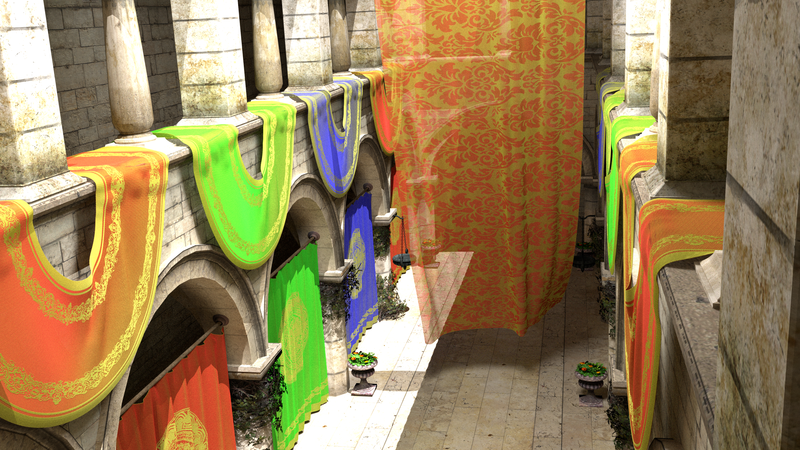 Procedural techniques are manually intensive, and fail to capture the naturally arising irregularities which contribute significantly to the overall appearance of cloth. 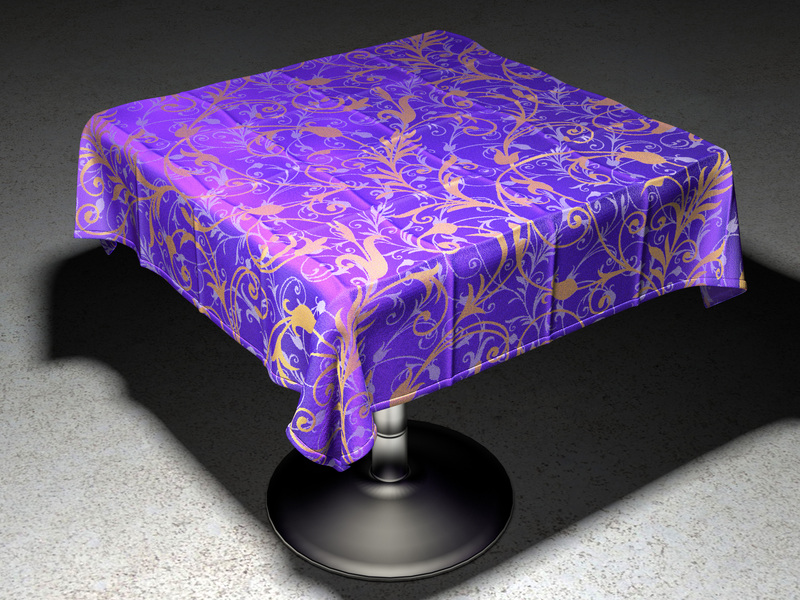 Techniques that acquire the detailed 3D structure of real fabric samples are constrained only to model the scanned samples and cannot represent different fabric designs. Abstract: The appearance of complex, thick materials like textiles is determined by their 3D structure, and they are incompletely described by surface reflection models alone. While volume scattering can produce highly realistic images of such materials, creating the required volume density models is difficult. Procedural approaches require significant programmer effort and intuition to design specialpurpose algorithms for each material. 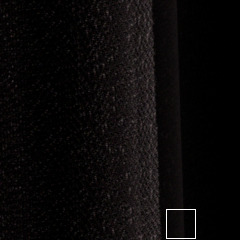 Further, the resulting models lack the visual complexity of real materials with their naturallyarising irregularities.